Baader Planetarium's T2-03 / 1508039 adapter converts the Vixen/Takahashi M36.4x1 (small) internal thread to the T-2 standard external thread, enabling you to solidly attach T-2 accessories to your Vixen, Takahashi, or Chinese telescope with 36.4mm threads (i.e. Celestron, Synta, Orion, and other Vixen clones). Note: this adapter can be used with the small step down ring provided with Takahashi telescope eyepiece clamps. However, for the widest field and best results with Takahashi telescopes, Baader recommends their larger diameter T2-12 adapter. 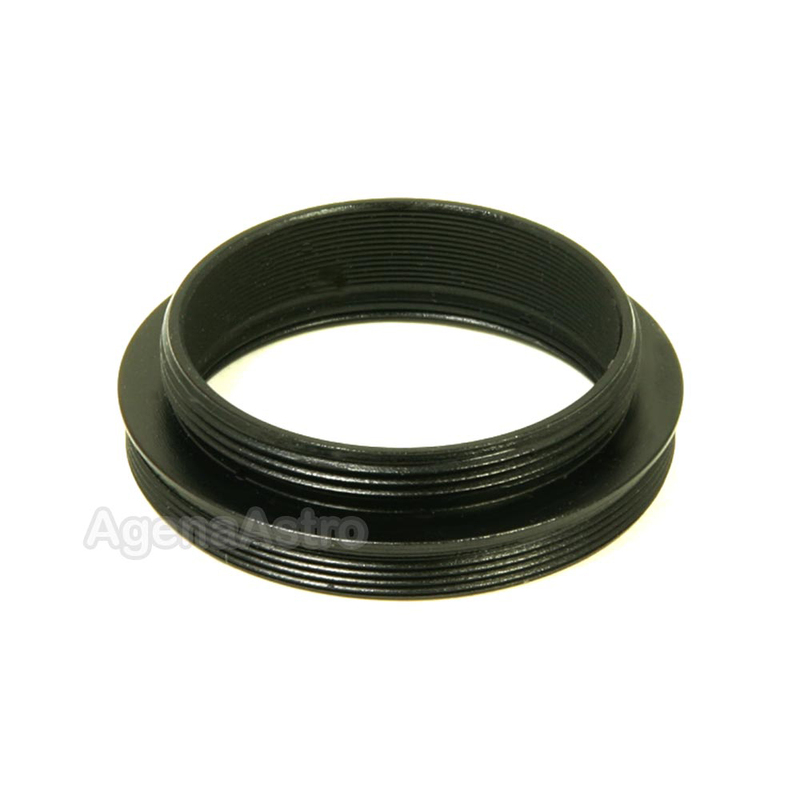 As with all Baader Planetarium components, this adapter ring exhibits attention to function and detail. The thin profile preserves maximum back-focus, and the T2-03 includes an internal M34 thread (on the T2 thread side only) for installing a VIP Modular Barlow lens or Glasspath Compensator (for Baader/Zeiss Bino-Viewer). Now, your Vixen or Chinese telescope can utilize Baader's flexible array of components to enable you to produce virtually any visual or imaging configuration that you can imagine. These Adapters are particularly useful for attaching their OPFA System (for afocal and ocular projection) and Click-Lock Eyepiece Holder to your Takahashi or Vixen telescope.